This year, the England Korfball Awards were decided based on nominations from members of the Korfball community. Following this, a Nominations Panel met to determine the winners. The Nominations Panel consisted of Graham Crafter and Dave Roberts, from the England Korfball Board, and Lisa Wainwright, Chief Executive of British Basketball. Three Korfball volunteers were selected by the panel to receive a Certificate of Merit. These volunteers have worked tirelessly to drive and develop Korfball, and we would like to extend our thanks to them for their services. Kyle Crombie of Northern Storm. Congratulations to Andrew, Bea and Kyle. This award is given to someone who has given excellent service to the development of Korfball in England, usually over five years. 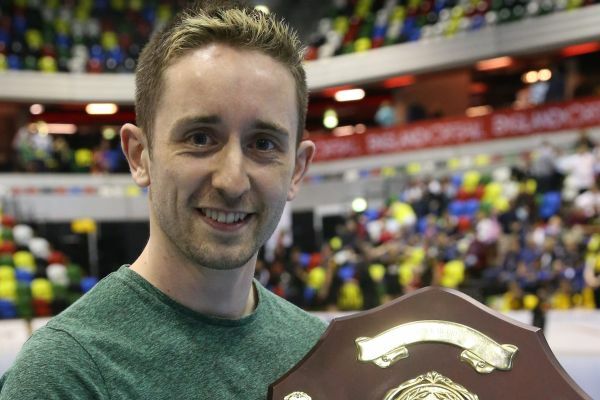 The winner of the Graham Crafter Award of Distinction this year was nominated for his inspiring work in promoting and developing korfball in Leeds and Yorkshire. As President of Leeds City Korfball Club, he has presided over an expansion of members to record levels and helped the club reach the Promotional Division. A huge part in enabling Leeds City to achieve England Korfball Inspired accreditation, this person gives up their own time and money to run taster sessions and establish Korfball in local colleges and universities, setting up the Leeds Beckett University team and now setting his eyes on additional three universities in Yorkshire. An excellent Korfball administrator as well as a coach and referee, this person has shown a tremendous amount of dedication to the sport in recent years. The winner of this year’s Graham Crafter Award of Distinction, from Leeds City Korfball Club, is Graham Smith. This award is presented to an individual who has given outstanding service to korfball over an extended period of time, usually 10 years or more. The winner of the Marion Atkinson Award of Honour has been involved in junior korfball with the Cambridgeshire Korfball Association for more than 15 years. During this time, she has helped propel Cambridge Tigers into the National League, leading to a surge in Tigers representation in the England U17 squad. This person has fulfilled many roles in korfball. She works not only with her own club, but also with other clubs in the area to promote and develop junior korfball. She organises regular tournaments and is the driving force behind the U14 National League competition. Here today as part of the National Schools Championships, further demonstrating her commitment to getting more children and young people playing Korfball, the winner of the Marion Atkinson Award of Honour for 2018 is Olivia Harcourt. This prestigious award is presented for outstanding service to korfball over many years, making a major contribution to korfball in England during that time. The winner of this award has been involved in korfball for over 25 years. During that time, he has led the development of korfball in Norfolk, founding both the University of Anglia Korfball Club and Norwich City Korfball Club, who of course have been here this weekend fighting for promotion to the Premier Division. This year’s winner of the Jan Hanekroot Lifetime Achievement Award is Philip Buttinger. England Korfball chair Ellen Pearce with this year’s winner of the Jan Hanekroot Lifetime Achievement Award, Philip Buttinger. Before the England Korfball Grand Final there was one more presentation. 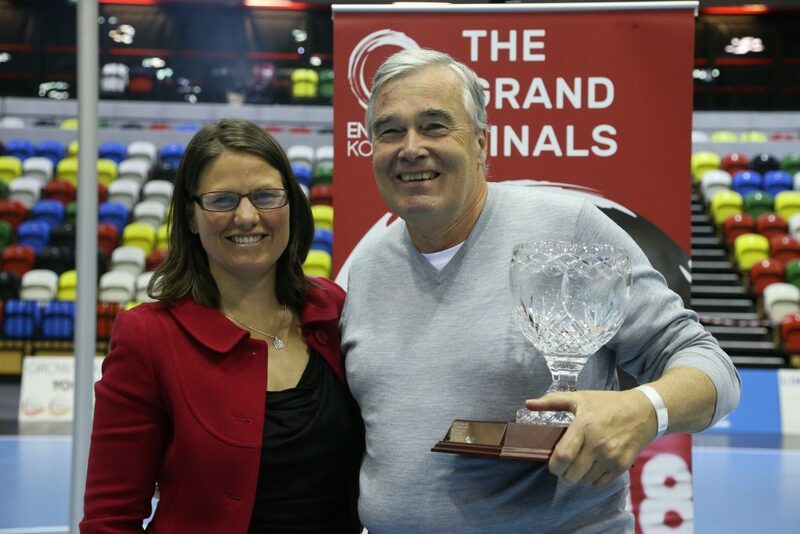 The England Korfball Board, on behalf of the members, thanked the former Chair of England Korfball, Craig Gosling. Craig set out an ambitious strategy to grow the profile of korfball and increase participation. Craig had lead a whole host of new initiatives over the last 6 years which have transformed korfball in England. 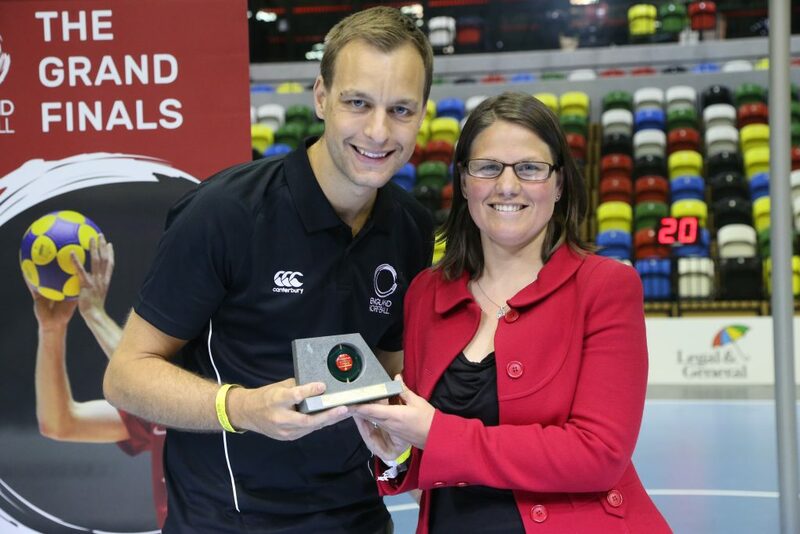 For his work, vision and leadership as the previous Chair of England Korfball, Craig Gosling was presented with a special Services to Korfball award.